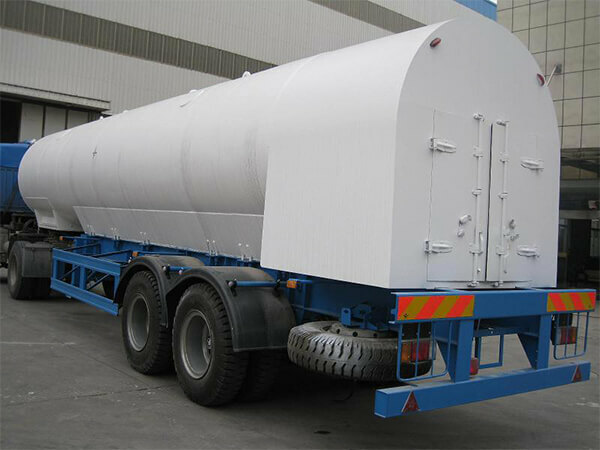 The cryogenic semi-trailer tanker mainly consists of horizontal storage tank, half trailer chassis, operation box, cryogenic liquid pump, automatic compressor, flow hose as well as connection pieces between the tank and chassis. 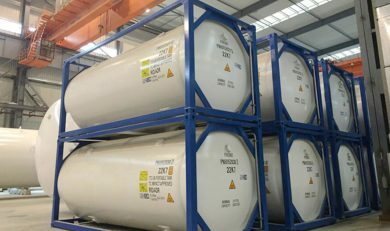 What’s more, it is a necessary gas carrier in cryogenic liquid transportation. 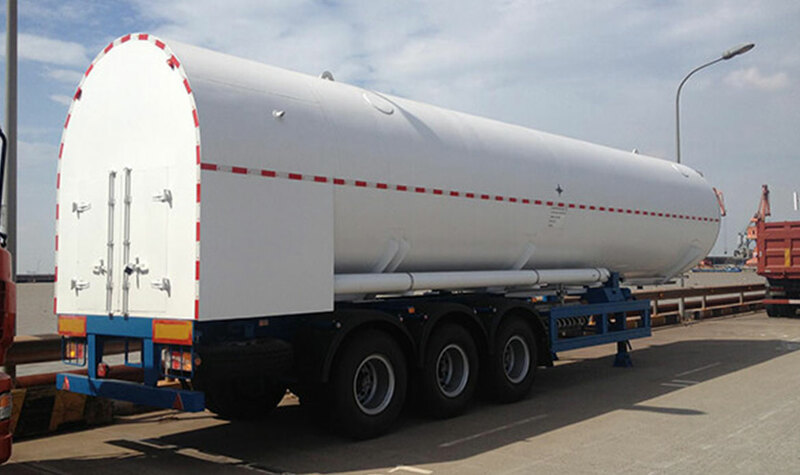 We have LO2 tanker, LN2 tanker, LAr tanker, LCO2 transport tanker, LNG semi trailer tanker, etc., which are all characterized by high security, big storage capacity, flexible use as well as good heat insulation. Besides, they can be equipped with various accessories according to specific requirements. 1. 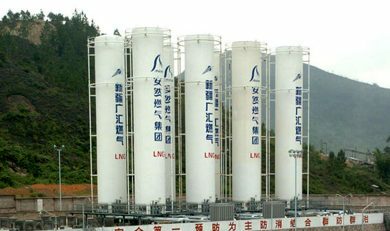 Because of adopting the durable Germany BMP shaft. More than 10 years of application proves its rigidness. 2. The function liquid level meter is more accurate than ordinary digital liquid level meter. 3. 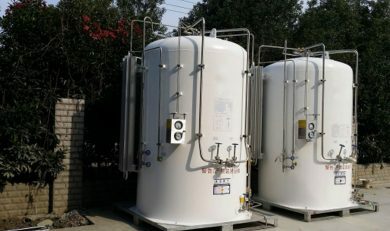 The vacuum degree of transport tank is equivalent to that of the static storage tank. 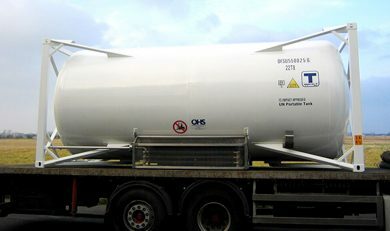 So without discharging the liquid, the safety valve of a full tanker will not open in 15-30 days. 4. 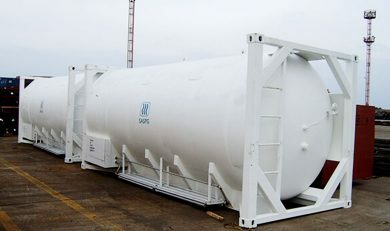 Transporting liquid oxygen nitrogen argon CO2 volume ranges from 5m3 to 52m3. 3. do you have specific requirements for manufacturing standards? 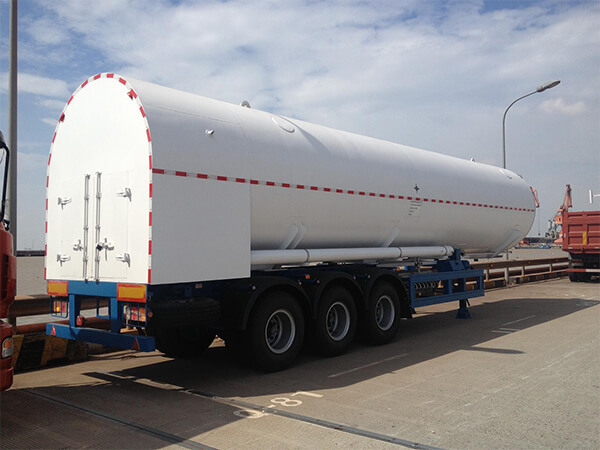 If not, then design and manufacture will comply with Chinese GB standards.